We are announcing a “BA to CB” brake upgrade program in which customers with “new” BA brakes may return those BA brakes in exchange for a 223CB or 30CB brake. The first of our new CB series of suppressors is about to clear ATF and start shipping to dealers. 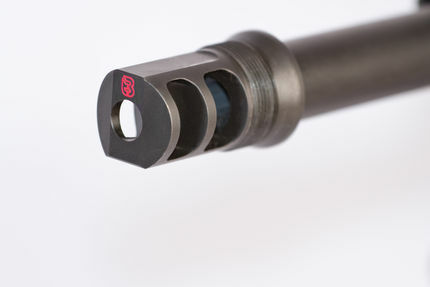 This new series of suppressors features a more compact muzzle brake which looks better than our old brake. The new CB brake also offers approximately 40% more braking efficiency when shot without the suppressor mounted. Although customers of our original 30BA line still have a very good suppressor mount, we’ve received a lot of questions about using the new brakes with the cans you already have (or are waiting on Form 4’s). To use an original 30BA or 338BA suppressor with our new 223CB or 30CB brakes, the new CB series brake must be used in conjunction with our CB-to-BA adapter (part number CB2BA). This adapter may be purchased on our web site and once semi-permanently installed in your 30BA suppressor, converts your BA series suppressor to accept the new CB mounts. 1. The BA brake must be NEW, UNFIRED, and CLEAN. We cannot accept returns of used brakes. 2. You must include the original, unused peel washer. 4. Send us the brake, peel washer, original packaging, note. The first batch of CB brakes was allocated to the initial CB series suppressor orders. The next batch is due to arrive back from Ionbond the week of August 18-22th. You may send in your packages before then, but that week is the earliest they will ship. We will try to keep CB brakes in all thread patterns in stock, but a 1-3 week delay is possible if we get sold out of the one you need. If you are in a rush to get the new brake back, please call us for advice before sending in your brake. 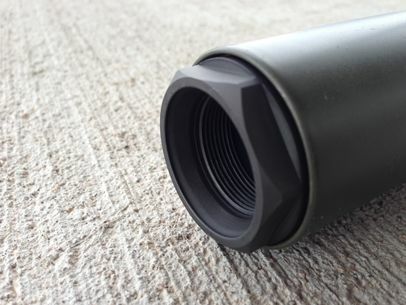 In addition, we have a flash-hider “CB” series mount coming out very soon. These will be available for .223 and .30 caliber. If you want to exchange your BA brake for a flash hider instead, please hold off until they are available. If you have any questions about this upgrade program, the new CB series suppressors and muzzle devices, or anything else, please do not hesitate to contact us on the phone or via email.